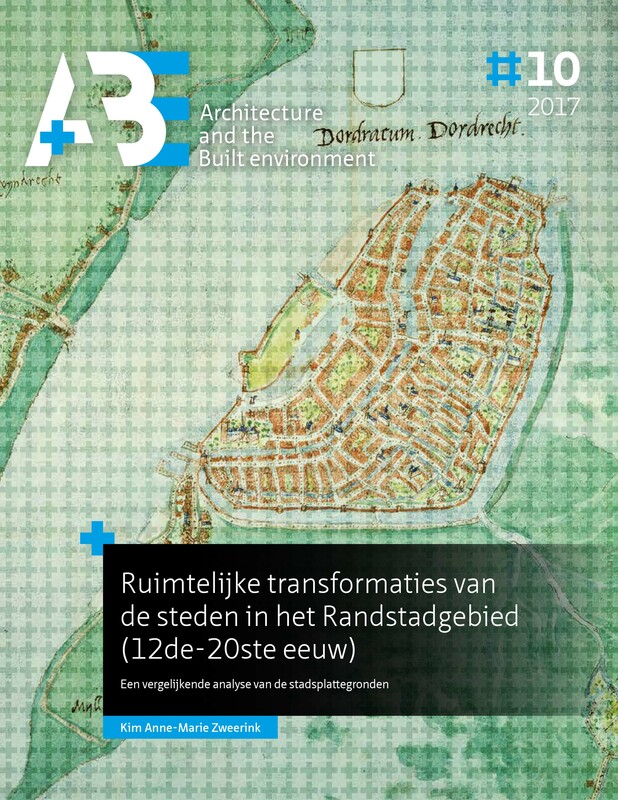 In this study, the transformation of the form of nine cities in the Randstad between 1250 and 1940 in relation to changes in infrastructure is central, namely Utrecht, Dordrecht, Leiden, Haarlem, Delft, Gouda, Amsterdam, Rotterdam and The Hague. Within this time span, three periods of great spatial dynamics are identified, namely the period 1240-1450, 1580-1680 and 1870-1940. From the eleventh century, large areas of hitherto inaccessible peatland were reclaimed and made suitable for agriculture and habitation, creating a number of peatland streams. Water became the main vehicle for goods transport. Along the peat streams, small settlements were formed, part of which developed as market centres for the environment. After the establishment of a system of continuous shipping links through the Randstad area in the thirteenth century, Central Holland became an alternative to the goods transport between the trading centres of the moment, namely the German Rhineland, Flanders and the Baltic Sea. Central Holland performed a role as a transit between the trading chains. Some cities transformed from a pre-urban to an urban settlement. The interlocal infrastructure formed the main structure of the cities. In the second phase of urbanization around 1350, cities developed into industrial centres. In this study, this development is referred to as the term spatial maturity. Typical for this period is that at the intersection of long-distance (water) ways an urban centre developed with a port and public buildings. The street pattern was oriented on this centre. The cities showed a remarkable resemblance to size and spatial thematic. Location for economic functions was found in particular by using existing structures. Harbors were made in inland waterways, markets were held on quays, bridges and streets. The main spatial themes in this period are the development of ports, the development of the street pattern, the extensions and the emergence of an urban centre with public functions. In the sixteenth and seventeenth century, the goods transport through Holland grew, and Amsterdam expanded to the centre of world trade. The infrastructural network barely changed during this period. The various urban maps in this phase show a great diversity. Some of the cities were performing in the super regional goods transport and showed a great spatial dynamics. In Amsterdam and to a lesser extent Rotterdam the cities expanded towards the IJ and the Meuse with ports and industrial areas. Leiden applied to the textile industry. In the city, there was strong densification and expansion with neighbourhoods for the textile industry. The Hague grew in particular as a government centre of the Republic. The other cities felt less dynamic. Extensions hardly took place, and in the cities mainly marketplaces were created. During this period, space for economic functions was created. Inland ports were constructed at the edges of the city and marketplaces were made. Important spatial themes in this period are the construction of ports and marketplaces and the strengthening of the urban centre. Typical for the city maps during this period was the strengthening of the urban centre in addition to the relocation of overseas and regional market functions to the city's borders. There was a specialization in the city maps. Comparing the city maps with each other, they made a development from uniformity to diversification to leveling between 1250 and 1940. Typical for the spatial development was that in the first period urban centres were created in which the various urban functions were concentrated. In the second period, specialization took place, in addition to strengthening the regional market function in the late medieval centers, functions were moved to the city edges. In the third period, the international goods transports continued to be moved out of the late medieval centers. In addition, the routes between the central station and the centers were a centers shopping area, passenger flows determined the spatial configuration.